I love teaching beginners to knit and to crochet. I’m always so grateful that my wonderful grandma taught me those skills back when I was just 5 or 6. She set me up for a lifelong love of working with yarn and creating all sorts of items for myself and for friends and family. 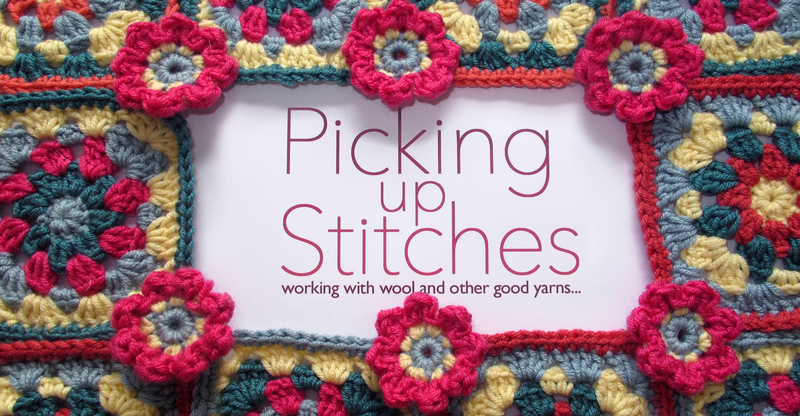 So it’s been wonderful since I started up Picking Up Stitches to share my knowledge with those new to knitting and crochet. 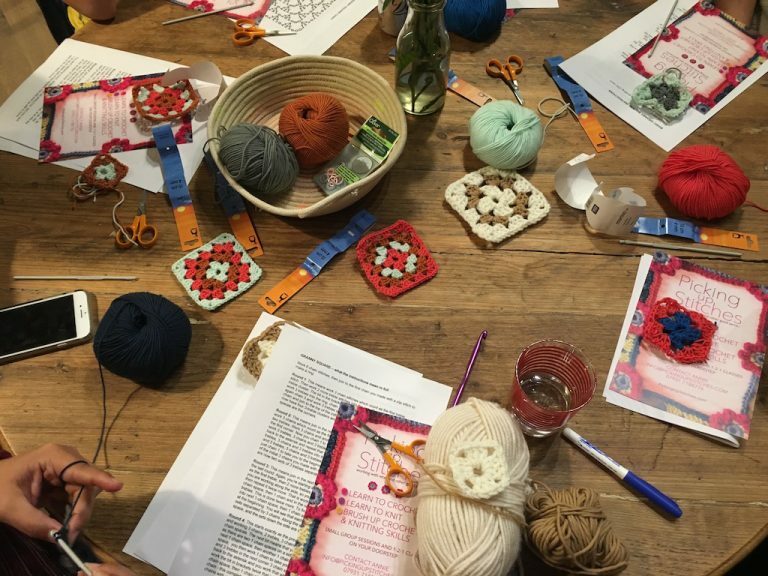 A few weeks ago, I was asked by Annie, the founder of the brilliant shop The Village Haberdashery in West Hampstead, if I’d teach some crocheted granny square classes there. 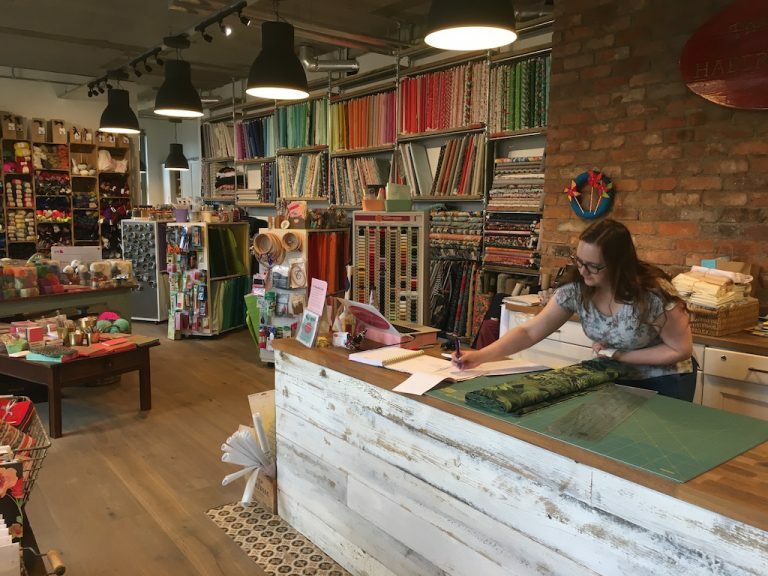 I jumped at the chance, as the large, bright, airy shop is so homely and welcoming and a treasure trove of materials – a perfect place to teach. Just look at some of the things on offer here. I must confess that I’m always tempted to buy something whenever I visit. 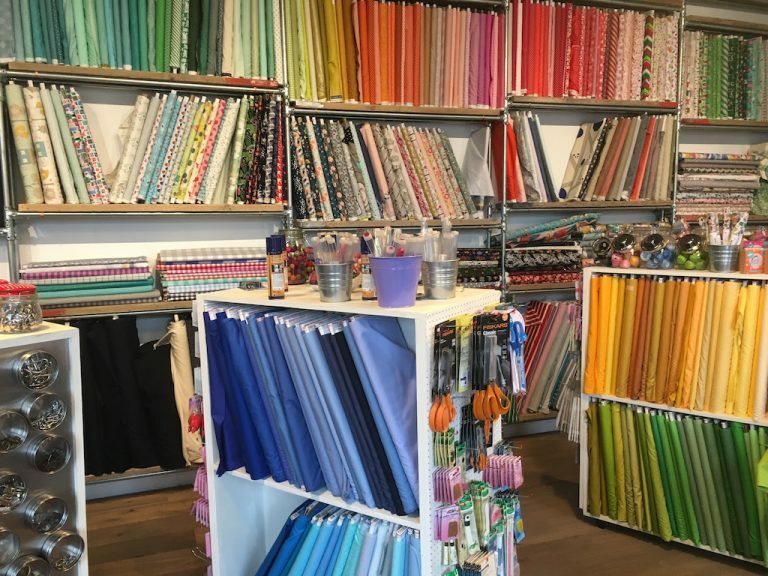 Even though I don’t do much sewing, the fabric display always makes me think I should be getting out my sewing machine! 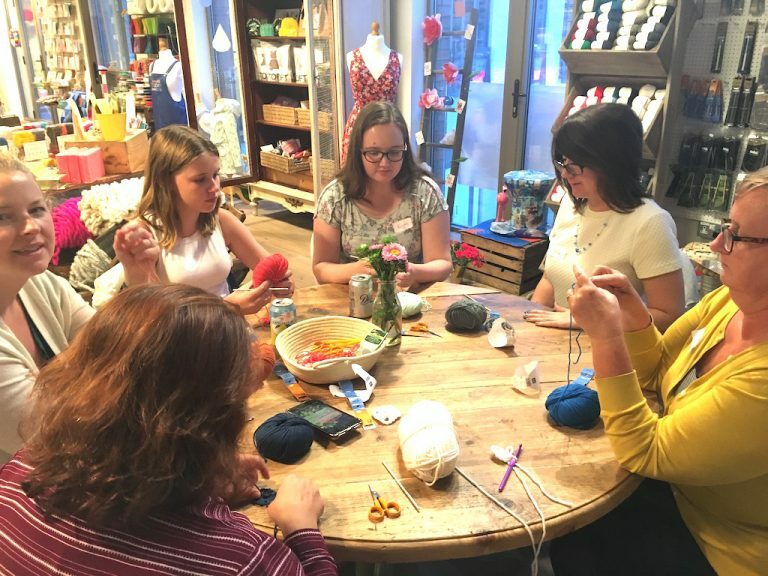 I’ve just finished teaching the first of these classes – a two-hour evening class to teach a basic granny square, though people stayed on at the end – they just couldn’t stop crocheting! 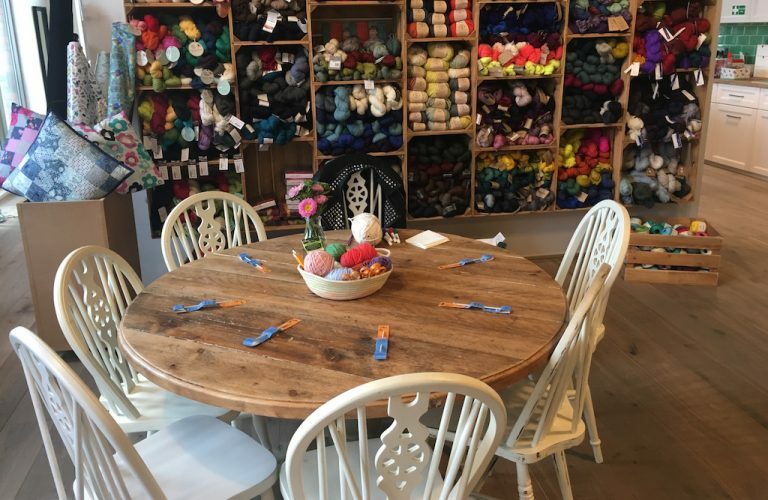 The six crochet newbies were met by this gorgeous round table, all set up with crochet hooks scissors and yarn. The ages ranged from teenage upwards, with everyone eager to learn. The concentration was intense, but it was fun too.